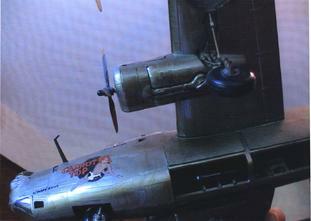 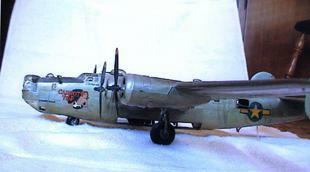 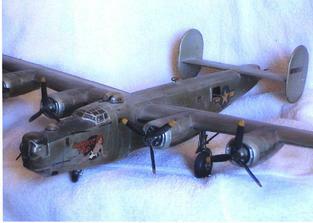 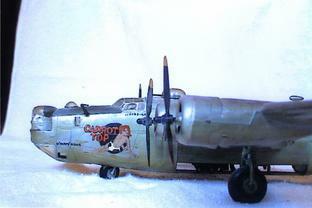 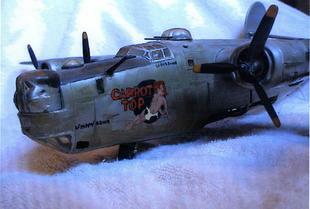 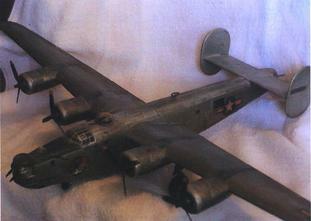 NEWSLETTER #16 -- B-24 MODEL OF "CARROT TOP"
B-24 MODEL OF "CARROT TOP"
Irving C. ("Pappy") Rowe has sent us pictures of a model of "CARROT TOP," given to him 25 years ago by his stepson and Elgin (Illinois) firefighter Steven Berry. 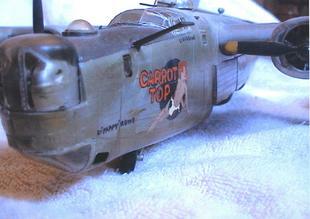 Steven and a fellow firefighter built the model and hand-painted "CARROT TOP" and names on the plane as it was at Fenton. 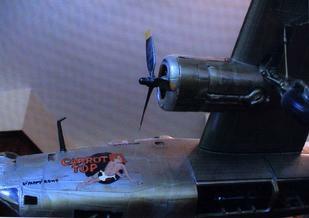 At present, three members of "CARROT TOP" are still alive (to Pappy's knowledge) -- Sheehan (Pilot), Schmitz (Navigator), and Rowe (Bombardier). 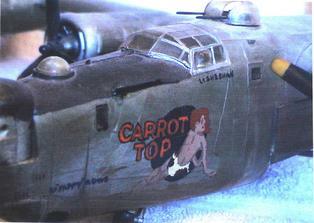 "CARROT TOP" was painted at Fenton Field for Sheehan's red-haired wife, Norma, by their waist gunner, Eugene Bucki in 1944. 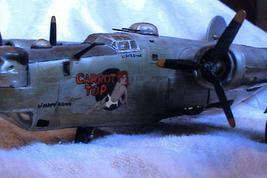 Bucki had been an outdoor sign artist and employed in Buffalo, New York, prior to being inducted. 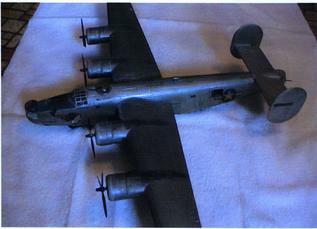 Thanks, Pappy, for sharing these photos with us!